After Russia, the United Kingdom and Italy, Switzerland is the fourth European country in just a few months to seriously think about building new nuclear reactors. This occurs as current Swiss nuclear reactors are due to close around 2020 and the energy demand is increasing in an important way and this is due to continue. I was mentioning previously we may face a nuclear golden age in a near future. It seems to be the case already as today’s headlines prove it. The country’s electricity is according to www.carma.org provided quasi exclusively by hydro power and nuclear energy, with respectively 56 and 40 percent. Swiss energy company Atel has submitted an application for framework approval of a new nuclear power plant to Switzerland’s Federal Office of Energy. The Niederamt plant would be built alongside the Gösgen nuclear power plant, in which Atel owns a 40% stake, but would be independent of the existing plant. 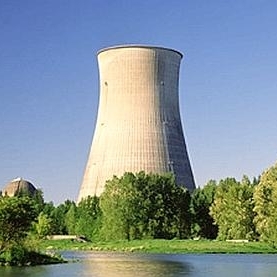 No reactor design is specified in the application, other than a “third generation light water reactor” that would use a virtually vapour-free “hybrid” cooling tower, in which the heated cooling water is recooled through heat dissipation to the atmosphere. The application is based on both 1100 MWe and 1600 MWe capacities. According to Herbert Niklaus, Atel’s head of energy for Switzerland, the project will cost SFR6-7 billion ($6-7 billion). Kernkraftwerk Niederamt AG (KKN), a 100% Atel-owned subsidiary, has been set up with responsibility for planning, building and operating the new and for obtaining the necessary approvals. Atel says it is looking for partners in the project and is currently talking to “various interested parties,” including the operators of Switzerland’s nuclear power plants. Referenda are a way of life in Swiss politics. No new nuclear plant can be built without the approval of the Swiss people, and Atel’s application may be subject to an optional referendum. The timetable envisaged by KKN would suggest 2012 as a likely referendum date, and the company notes that a survey carried out by Atel in January 2008 found a majority of the residents of Neideramt to be supportive of a new nuclear plant in their locality. If all goes according to plan, KKN envisages that the new plant could start up in 2021-2023. More new nuclear for Switzerland? Switzerland is anticipating an energy shortfall of 25-30 billion kWh by 2035 – around half the country’s current generation – thanks to rising consumption as older nuclear power plants come to the end of their lives. Atel CEO Giovanni Leonardi cited the anticipated shortfall and the strengths of nuclear power, especially in terms of energy security, economic efficiency and climate friendliness, as main reasons behind Atel’s application. In early 2007 the Swiss government announced a new energy policy which not only focuses on nuclear, energy efficiency and renewable sources but also calls for the country’s five operating nuclear units to be replaced in due course with new ones. The units – two at Beznau, plus Gösgen, Mühleberg and Leibstadt – provide a total of 3320 MWe of capacity and supply some 37% of the country’s electricity. The country’s oldest unit, Beznau 1, is scheduled to close in 2019, with other plants following on. Mühleberg is currently licensed to 2012, and is unique amongst Swiss plants in having a statutory operating limit imposed on its licence. According to the Swiss Federal Office of Energy, a decision on an application to waive the 2012 limit is likely in the first quarter of 2009. The closure date for Mühleberg would then likely be put back to 2022. In December 2007, three Swiss energy companies – Nordostschweizerische Kraftwerk (NOK), Centralschweizerische Kraftwerk (CFC) and BKM FMB Energie – set up a joint venture called Resun with the purpose of replacing the Beznau and Mühleberg nuclear power plants in 2020. Atel was also invited to join the consortium.